Wow. Oh my word, this is such a good book and I can't wait and hope there will be more installments of this story. There has to be! I was drawn to it from the beginning and could not put it down for anything. Definitely a story that keeps you in suspense and guessing what's to come and always wanting more. I've been drawn to the paranormal stories before regarding vampires, werewolves, etc., but mermaids!?! I love how unique this story is. I don't think I've ever read a book regarding mermaids. Learning about the under water world of Syrena was just the tip of why I loved this story so much. I think Anna did an amazing job on the main characters Galen and Emma and how their relationship starts off far from perfect. She keeps you guessing whether or not they end up together. She also made it so easy for me to visualize not only what the characters looked like, but where they were. Her detailed creativity bringing Syrena to life in this story is brilliant. If you're looking for a new book to read, this is definitely it. You'll find yourself sitting up in bed at 1am in the morning just to finish the next chapter and wanting to read more. 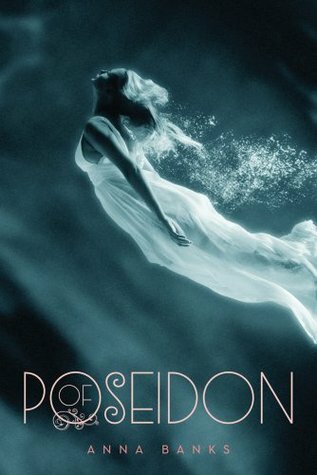 If I could I'd give Of Poseidon five out of five stars. Disclosure: All opinions are my own. I received Of Poseidon at no cost for the purpose of this review. No other compensation was received.